The next version of Pax Web is about to be released. Time to take a closer look at what’s going to be included with it. First of all it it’s a minor version update, so it’s mainly upgrades for the underlying containers. Jetty is upgraded to version 9.2.5, one of its features is the support for Servlet 3.1 API (JEE7). Tomcat is upgraded to version 8.0.14. Because there is no OSGi version of it available a Pax Tipi Project takes care of the OSGi-fied version of it. Thanks to this updated it’s now possible to also support JSP 2.3.1 with Jasper in version 2.2. Due to this Apache MyFaces 2.2.6 and higher is supported (JSF-2.2). Pax Web 4.0 has been released about a week ago. This version consists of more then 100 issues. So take a look at the key benefits of this version. This will give you a brief overview about the new and the important changes of Pax Web 4.0. A lot has changed internally to support JSP 2.2 out of the box. JSF 2.1 can be used too, this has been back ported and introduced to the Pax Web 3.x line as well. 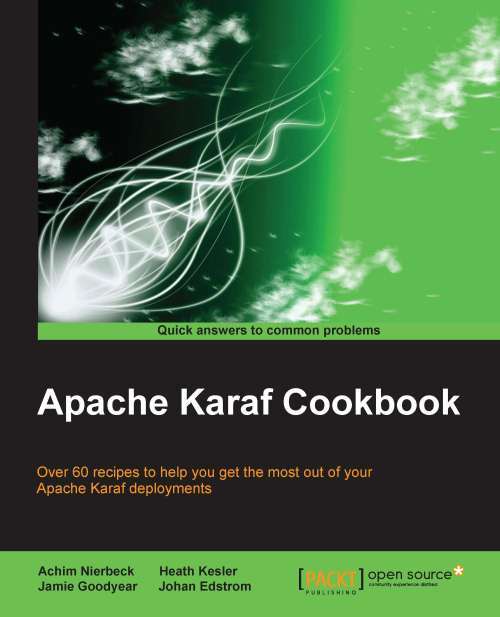 We do have an expected publication Date for the Apache Karaf Cookbook! Anyone interested in it and ready to order it, you will fine it here. It has been a pleasure writing it and a lot of fun. I hope you enjoy reading it as much as I enjoyed it writing.